Home > Lighting > Candle Holders > Mermaid Centerpiece Floral Riser/Candle Holder - Gold - 18 3/4"
Our Gold Mermaid Centerpiece Riser performs double duty as a Floral Holder and a Candle Holder! 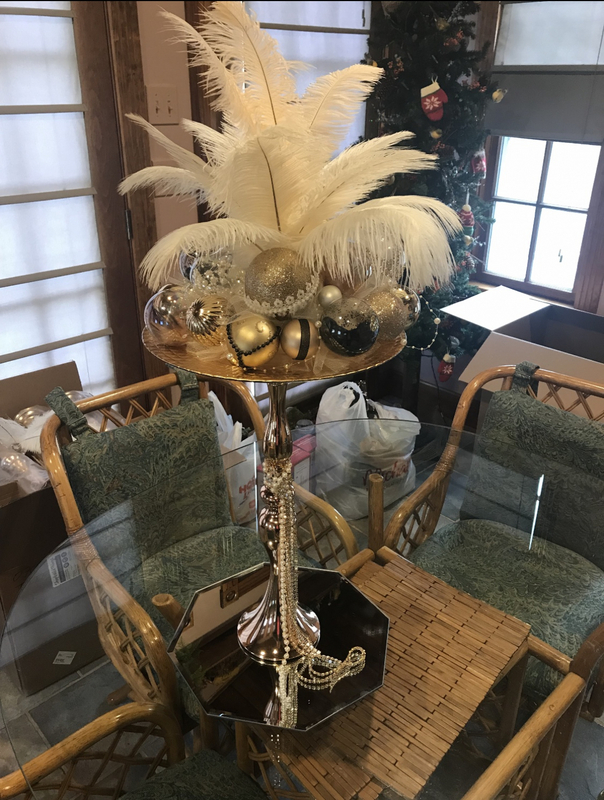 This shapely pedestal is 18 3/4" tall by 4 3/4" wide and for weddings, events and special occasions, this chic stand adds elegance to any tablescape. At the top is a 1" deep by 4 1/2" wide bowl to hold Decor like candles or pomander kissing balls. 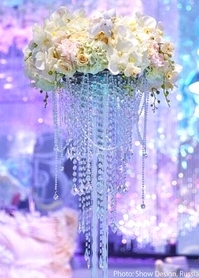 This riser is great as a centerpiece because it stands above eye level and the slim shape doesn't block everyone's view. The shallow bowl has a flat bottom that can accommodate a Pillar Candle no wider than 3" in diameter. That leaves room on the sides to add crystal strands that can drape down the side or if you want to use this as floor Decor, surround the candle with Diamond Confetti or Silk Rose Petals. 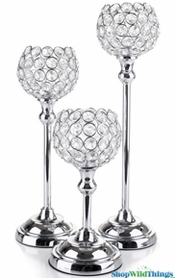 The bowl top works beautifully to hold our Silk or Foam Flower Balls. The beads on our crystal garland strands are attached by jump rings and our flower balls have a Styrofoam center so if you'd like extra sparkle and shine, make altering length crystal strands and fasten them to the balls. Very simple but it looks so incredible! All of our Mermaid Vases and Risers are very stylish and when used in conjunction as floor and table Decor, you can instantly create a stunning room, glistening in gold! I was very pleased with my purchase, for the price it actually is better than expected,looks really nice and well worth it. 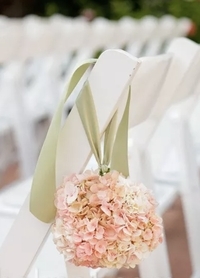 These worked great as Rose Ball Floral Holders! Light weight and easy to work with!